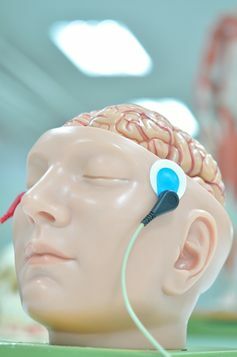 In search of alter­na­tive solu­tions, researchers around the world, includ­ing our team, are inves­ti­gat­ing tran­scra­nial direct cur­rent stim­u­la­tion (tDCS) as an alter­na­tive treat­ment for depres­sion. But this isn’t some­thing you can safe­ly try at home. Unlike elec­tro­con­vul­sive ther­a­py, tDCS uses very mild elec­tric cur­rent to stim­u­late the brain and has few side effects. The mechan­ics of tDCS are quite sim­ple, involv­ing a bat­tery, two leads and the elec­trodes through which the cur­rent is passed. The stim­u­la­tion works by chang­ing the activ­i­ty of nerve cells in the brain. In depres­sion, the left frontal areas of the brain are often less active than usu­al. tDCS stim­u­lates this area to restore brain activ­i­ty. We’re still eval­u­at­ing the effec­tive­ness of tDCS, but so far stud­ies have found that tDCS works bet­ter than a place­bo (or sim­u­lat­ed treat­ment) at reduc­ing symp­toms of depres­sion. When com­bined with the anti­de­pres­sant med­ica­tion ser­tra­line (mar­ket­ed as Zoloft in Aus­tralia), the com­bi­na­tion tDCS-drug ther­a­py works bet­ter than med­ica­tion or tDCS alone. Research has found that among peo­ple with depres­sion, a course of tDCS can improve the brain’s “neu­ro­plas­tic­i­ty”, which is the brain’s abil­i­ty to learn and adapt to changes in the envi­ron­ment. The ther­a­py has a good safe­ty pro­file – if admin­is­tered by clin­i­cians and researchers trained in stim­u­la­tion tech­nique and safe­ty. Our research team has admin­is­tered thou­sands of tDCS ses­sions with­out inci­dent. 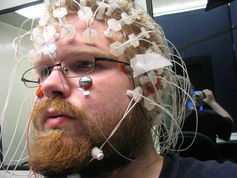 But this is not the case when tDCS is used in the “DIY” con­text, with DIY users try­ing to stim­u­late their own brains. This phe­nom­e­non is often guid­ed by online forums and web­sites ded­i­cat­ed to DIY tDCS. Users com­ment on their own expe­ri­ence and share tips on how tDCS can be used to treat their own depres­sion. Peo­ple with no med­ical train­ing and lim­it­ed under­stand­ing of tDCS self-treat their depres­sion and advise oth­ers on treat­ment. The most obvi­ous con­cern is that poor tech­nique and improp­er elec­trode place­ment could cause skin burns. What’s more con­cern­ing is the abil­i­ty for tDCS to pro­duce last­ing changes in brain func­tion­ing. Depend­ing on how tDCS is giv­en, these changes could be good or bad. A DIY user could, for exam­ple, cause last­ing impair­ment to their think­ing and mem­o­ry. For peo­ple with severe depres­sion, incor­rect appli­ca­tion could wors­en their con­di­tion or induce a hypo­man­ic (man­ic) episode. When it comes to med­ica­tions, it’s impor­tant to get the right dose and dos­ing sched­ule. That’s why this role falls to qual­i­fied clin­i­cians and researchers. The same goes for tDCS: cur­rent inten­si­ty, elec­trode size and posi­tion, and the dura­tion and fre­quen­cy of the stim­u­la­tion deter­mine the effects in the brain. The rela­tion­ship between dos­ing, inten­si­ty and posi­tion is high­ly com­plex. This isn’t a sim­ple case of “the stronger the bet­ter”. Even researchers are yet to ful­ly under­stand the effects of vary­ing stim­u­la­tion approach­es and much more research is need­ed. As with oth­er forms of treat­ment, TDCS is not suit­able for every­one. In clin­i­cal research tri­als, par­tic­i­pants are screened for suit­abil­i­ty to receive stim­u­la­tion and their like­li­hood of respond­ing to treat­ment. The stim­u­la­tion is care­ful­ly con­trolled and the par­tic­i­pants’ mood is care­ful­ly mon­i­tored dur­ing and after the course of treat­ment. tDCS rep­re­sents a promis­ing future, where sim­ple and cost-effec­tive treat­ment for depres­sion is pos­si­ble, with­out drugs. Researchers world­wide are con­tin­u­ing to study this exper­i­men­tal treat­ment, which may one day become a con­ven­tion­al treat­ment for depres­sion. The accep­tance and pop­u­lar­i­ty of tDCS among the gen­er­al com­mu­ni­ty is encour­ag­ing. But tDCS is still exper­i­men­tal and isn’t safe to admin­is­ter at home. DIY users are not trained in prop­er tech­nique nor are they trained to iden­ti­fy, pre­vent or deal with unex­pect­ed out­comes. – Ker­rie-Anne Ho, PhD is a can­di­date in non-inva­sive brain stim­u­la­tion at UNSW Aus­tralia, and Colleen Loo a Pro­fes­sor of Psy­chi­a­try at Uni­ver­si­ty of NSW, Syd­ney. This arti­cle was orig­i­nal­ly pub­lished at The Con­ver­sa­tion. “Even researchers are yet to ful­ly under­stand the effects of vary­ing stim­u­la­tion approach­es and much more research is need­ed”. Yes, quite. It sounds as though they are almost as much in the dark as we are, the lay pub­lic. 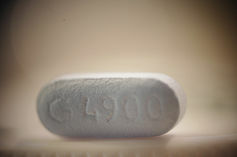 Giv­en the risks tak­en dai­ly with over-the-counter med­i­cines, and mis-appli­ca­tion of pre­scribed meds, the added haz­ard of a minor­i­ty tin­ker­ing with a few mil­liamps would seem tol­er­a­ble. I should state here that just once so far I have tried tDCS, using a PP3 bat­tery, a mul­ti­me­ter, sim­ple rheo­stat and wet tis­sue pads. 15 min­utes at 2 mil­liamps. Slight tin­gling, slight red­den­ing, and a decid­ed lift in mood which last­ed many hours, though I’m well and not depres­sive — and there were no unde­sir­able effects. Very promis­ing, in my anec­do­tal view. It would be a good idea to put around much more infor­ma­tion so we don’t attempt real­ly stu­pid things, like plug­ging into the mains, or get­ting the bat­tery polar­i­ty wrong. Hel­lo Howard, thank you for shar­ing your insights. In terms of more infor­ma­tion, we pre­fer to stick to good research in this area rather than to spe­cif­ic DIY tips, giv­en pre­cise­ly the risks you men­tion. tDCS is very promis­ing, but for the time being con­sumers would be bet­ter served try­ing oth­er, safer things first.